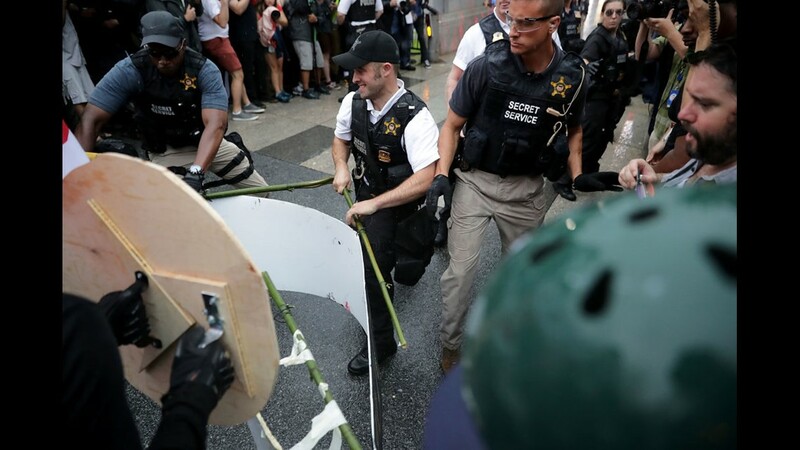 A person arrested in D.C. was found to be in possession of a slingshot with large shards of glass, metal bolts and stones after he used pepper spray on another man. 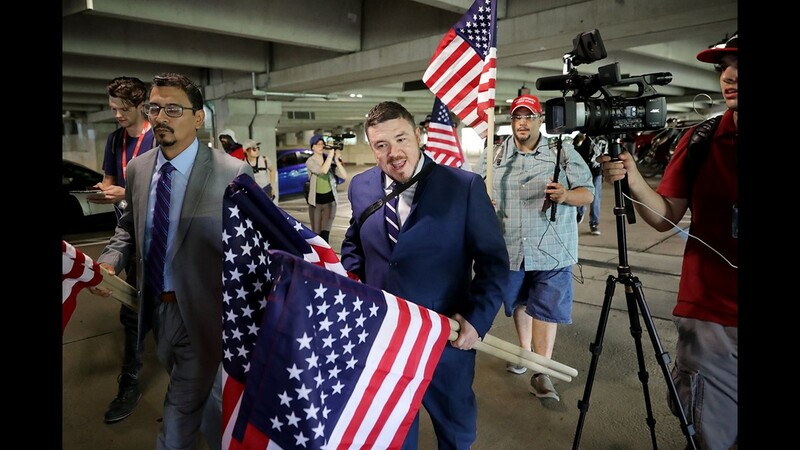 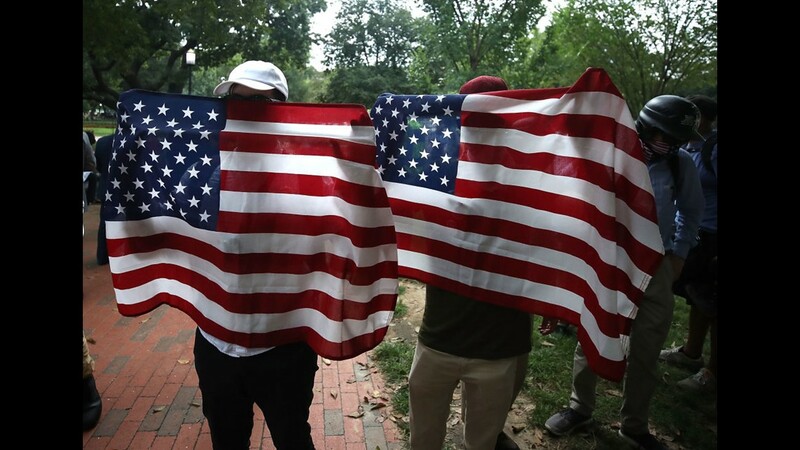 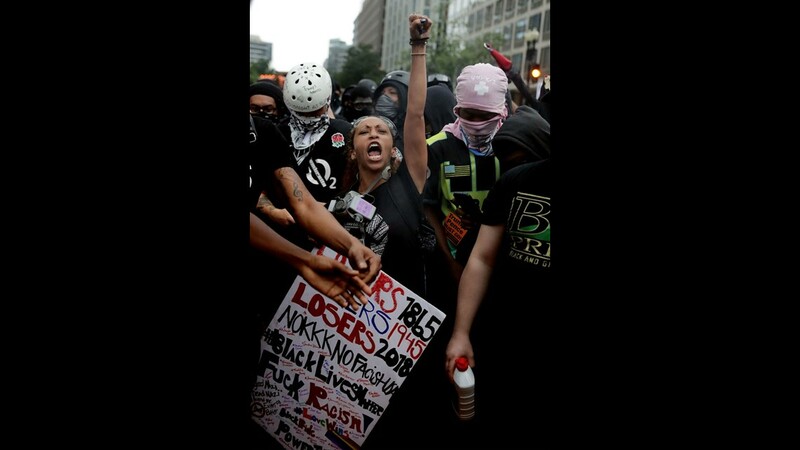 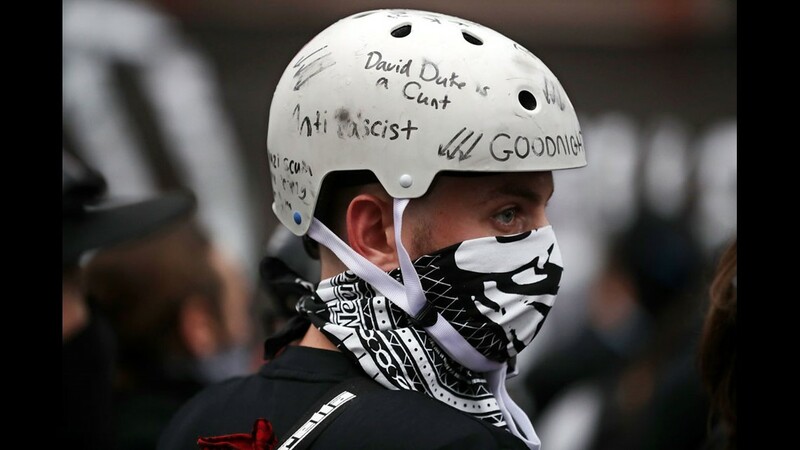 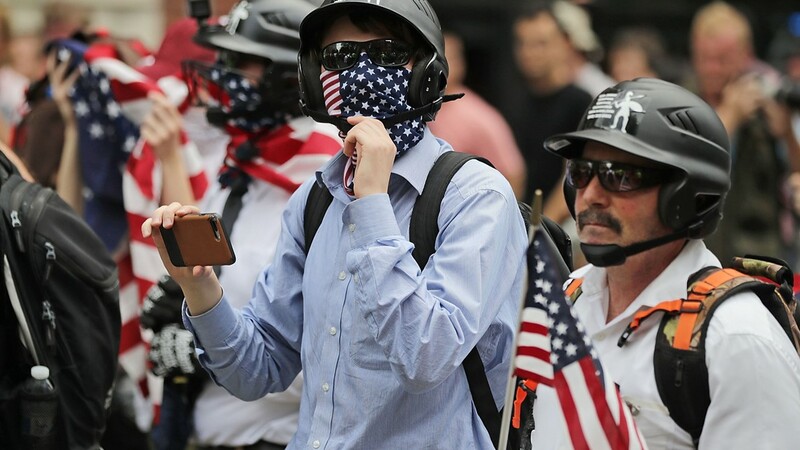 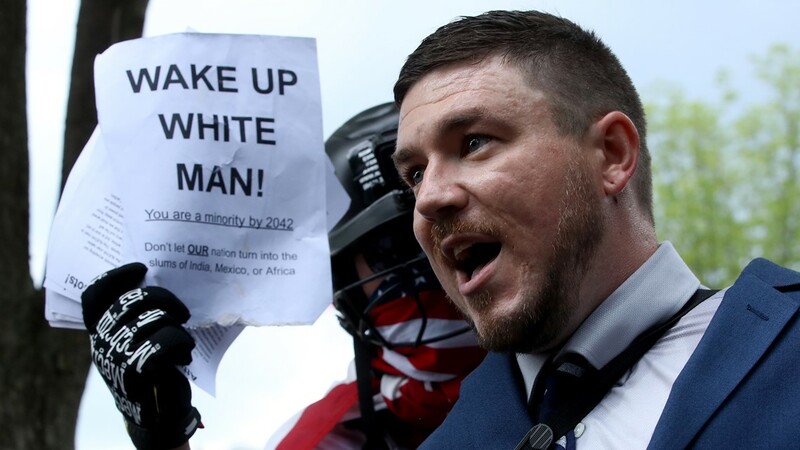 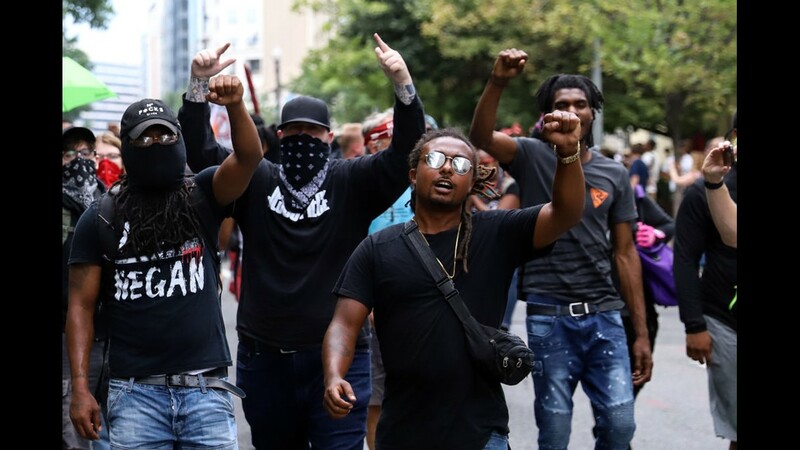 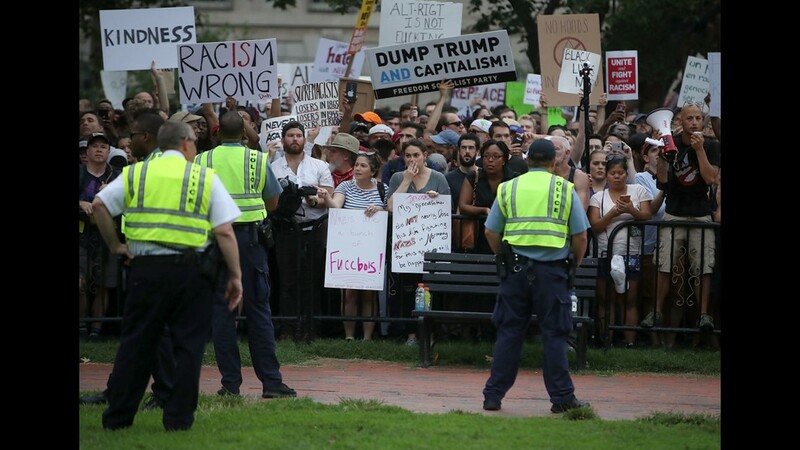 WASHINGTON -- Two people were arrested during the events of the Unite the Right rally Sunday in what was a mostly peaceful event despite high tensions and strong rhetoric. 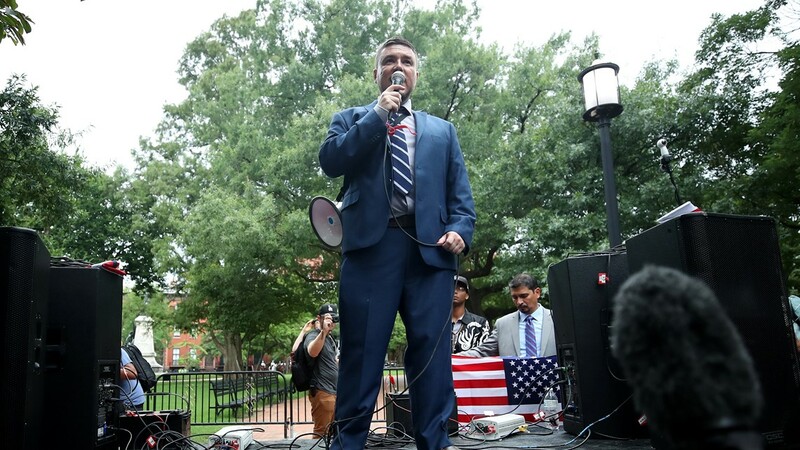 One person was arrested in Virginia, and one in D.C. 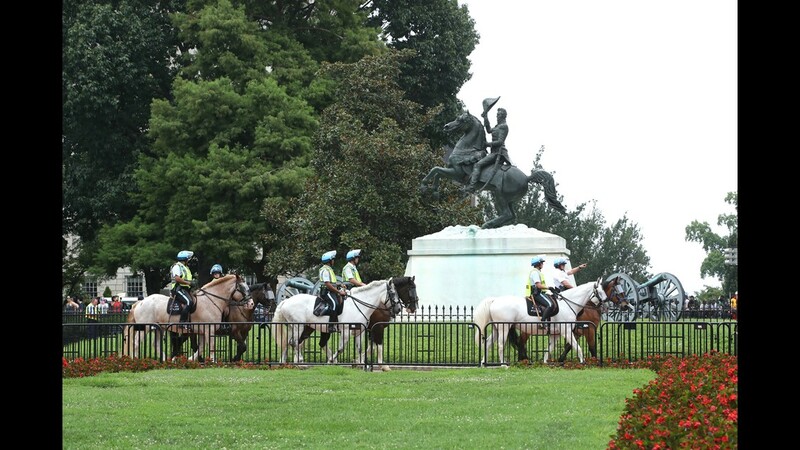 The person arrested in D.C. assaulted another man with pepper spray. 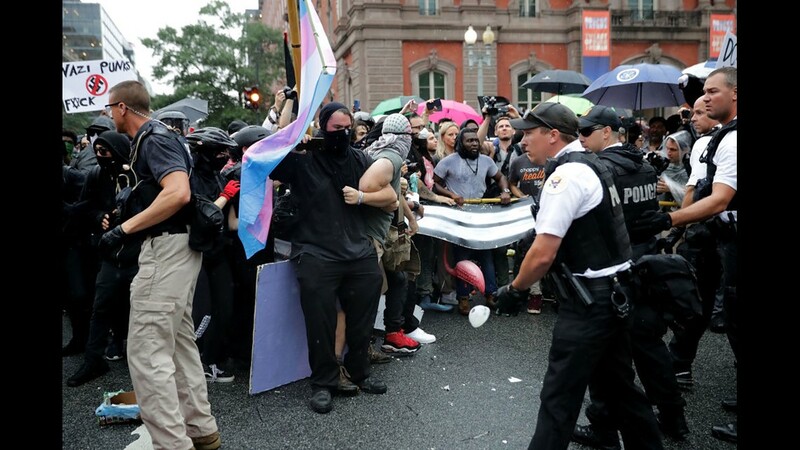 He was taken into custody immediately after the use of the pepper spray around 5:40 p.m., according to D.C. Police Chief Peter Newsham. 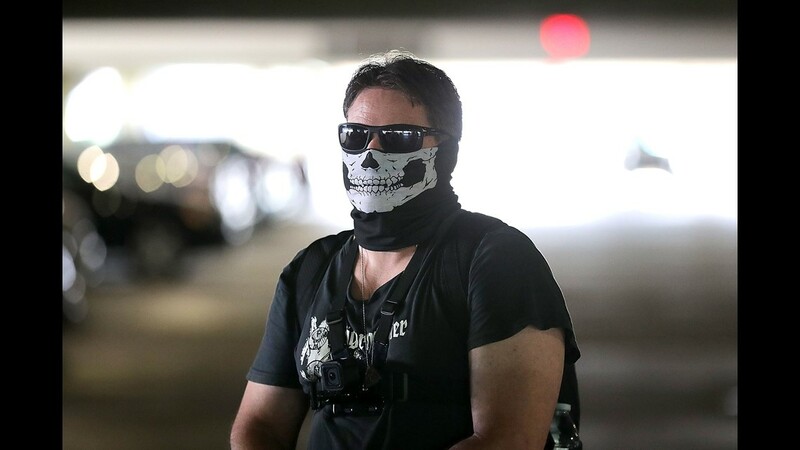 He is identified as 44-year-old John Mulligan, of Pennsylvania. 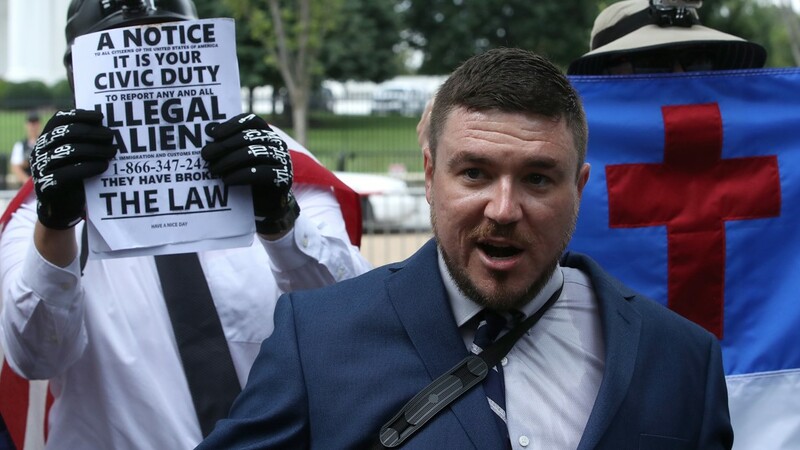 Mulligan was also found to be in possession of a slingshot with large shards of glass, metal bolts and stones. 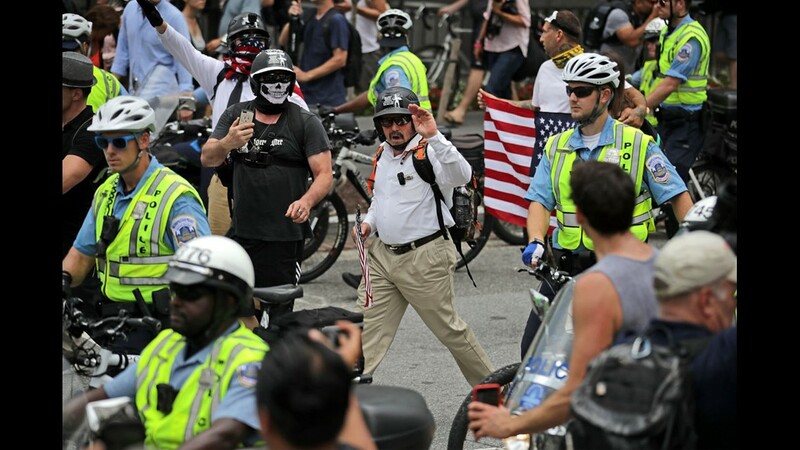 Chief Newsham did not know whether Mulligan was there supporting Unite the Right or the counter-protesters. 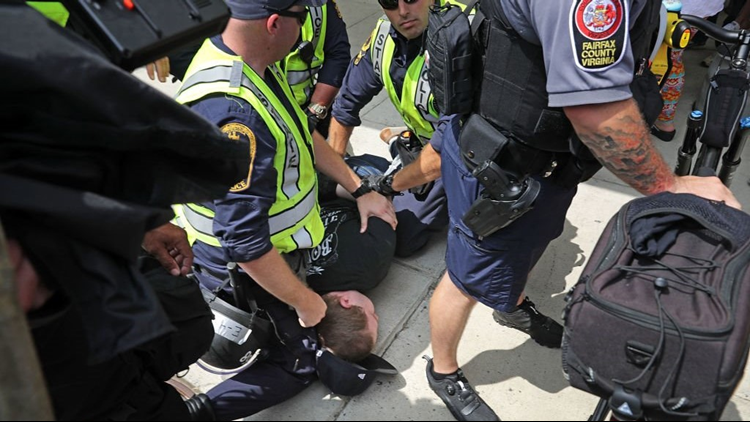 The other arrest was made outside of Vienna Metro station in Fairfax for spitting on a Virginia State Police officer. 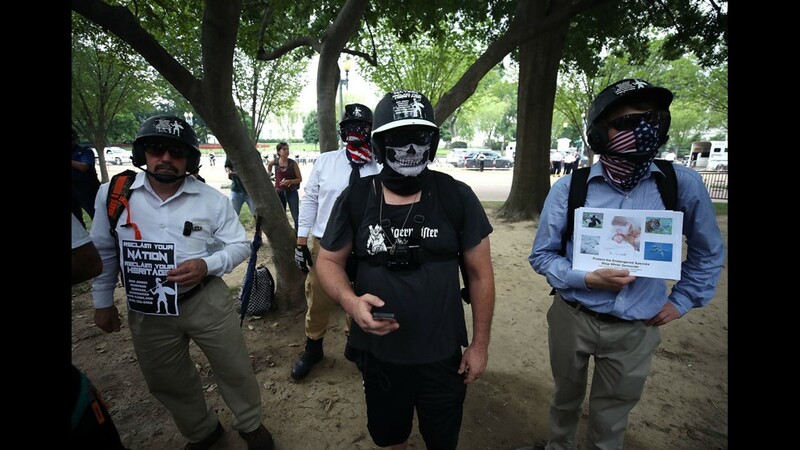 Their identity was not available as of Sunday night. 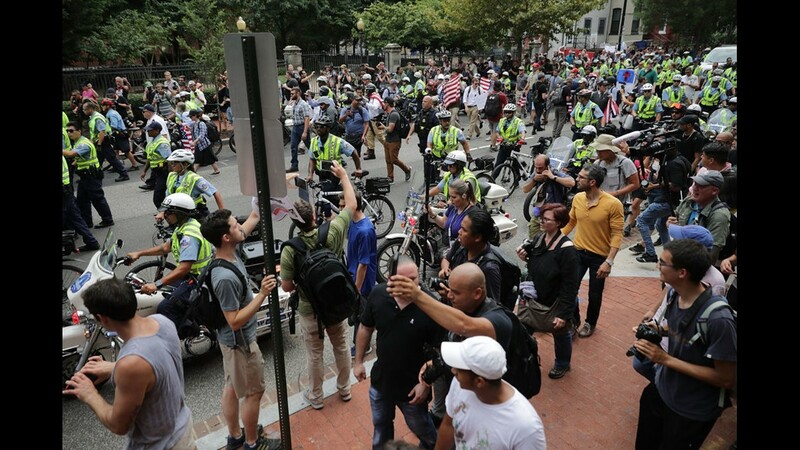 Chief Newsham credited a "well-executed plan" of keeping the two groups separate, which led to a mostly peaceful event with no major injuries. 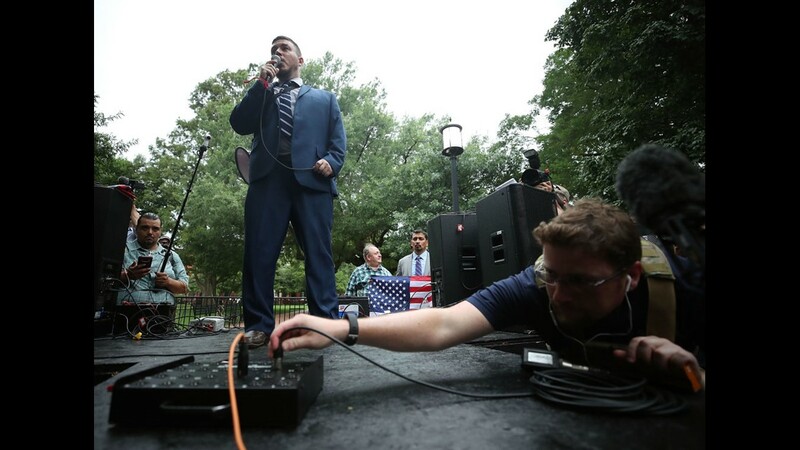 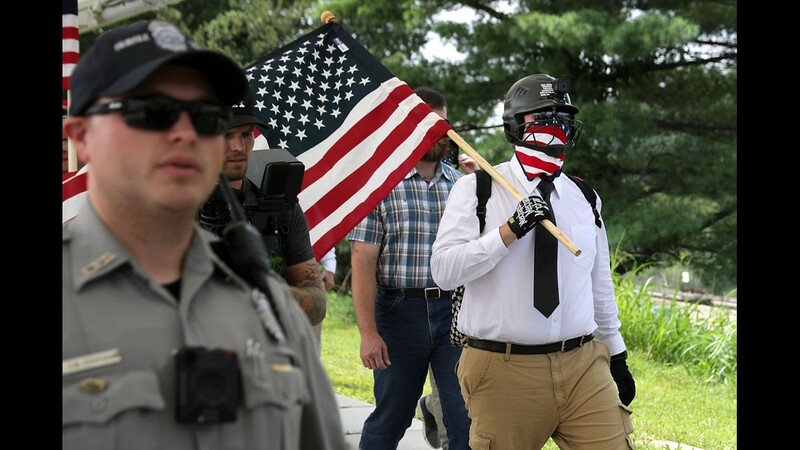 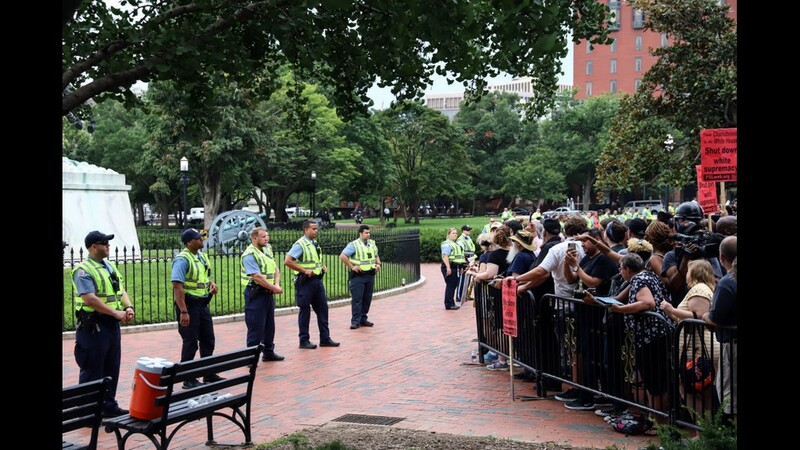 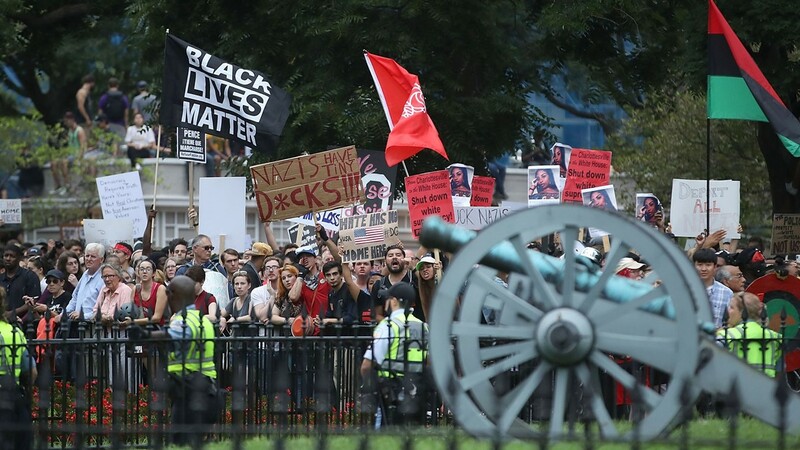 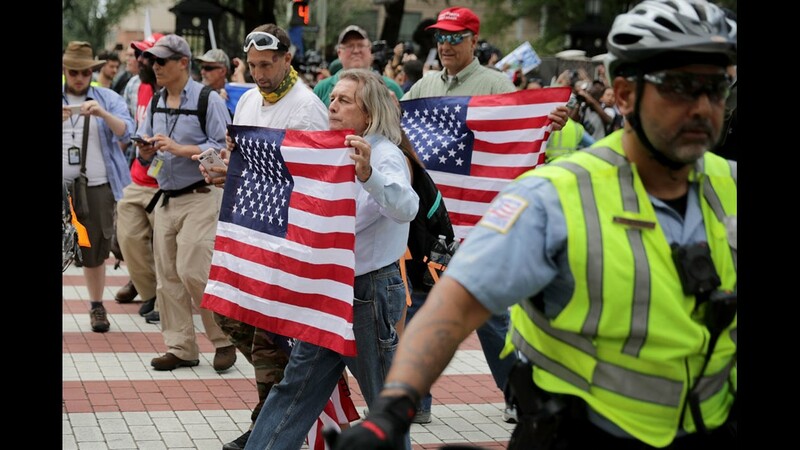 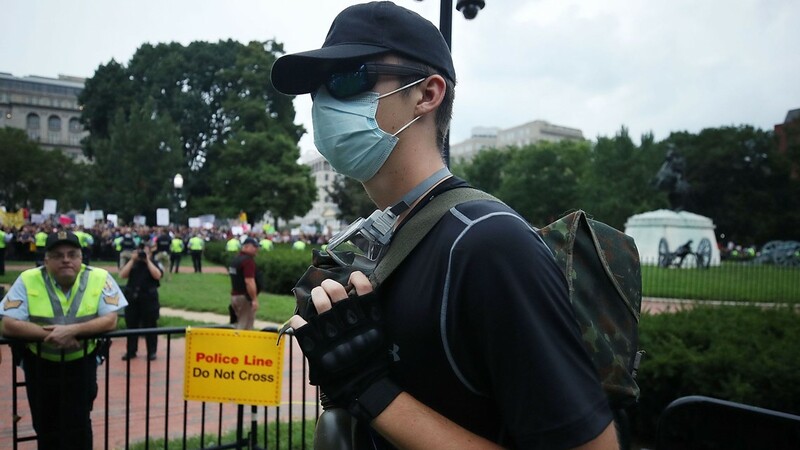 The only notable police confrontation with protesters was when counter-protesters built a makeshift barricade, attempting to keep the Unite the Right rally participants pinned into Lafayette Square. 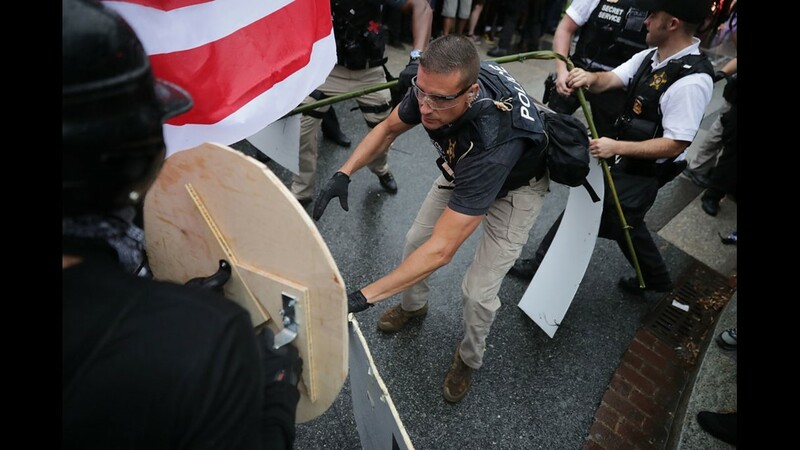 Police had to forcefully remove the barricade with counter-protesters standing by it. 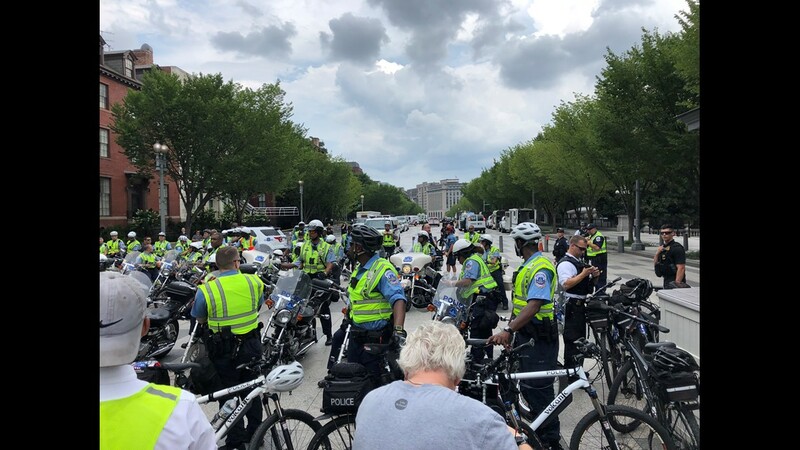 Mayor Muriel Bowser, who returned abruptly from a trip to El Salvador to monitor the rally, thanked the DC Metro Police Department for their work. 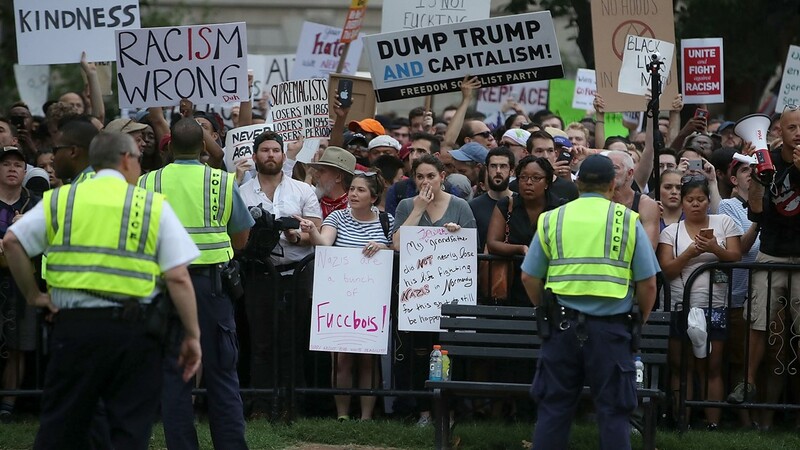 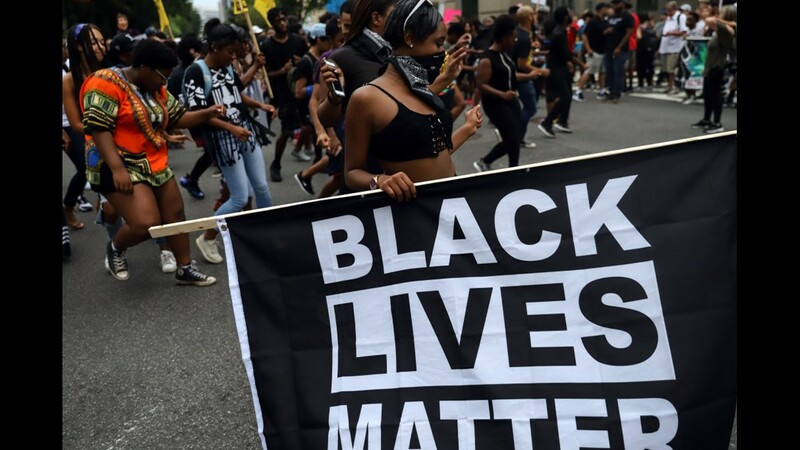 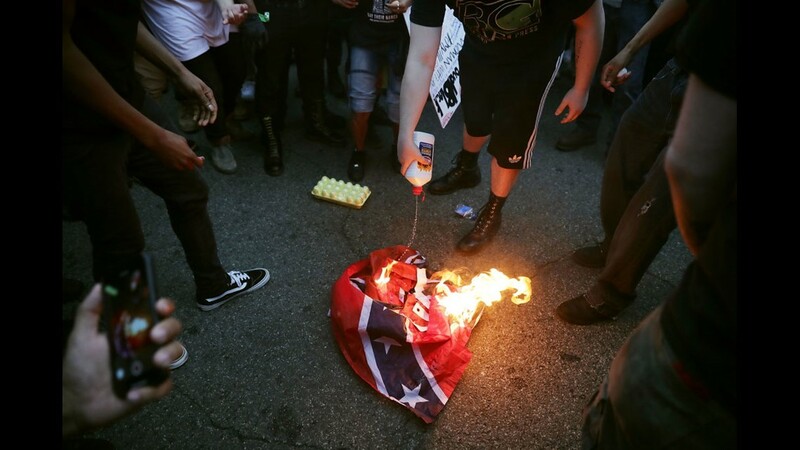 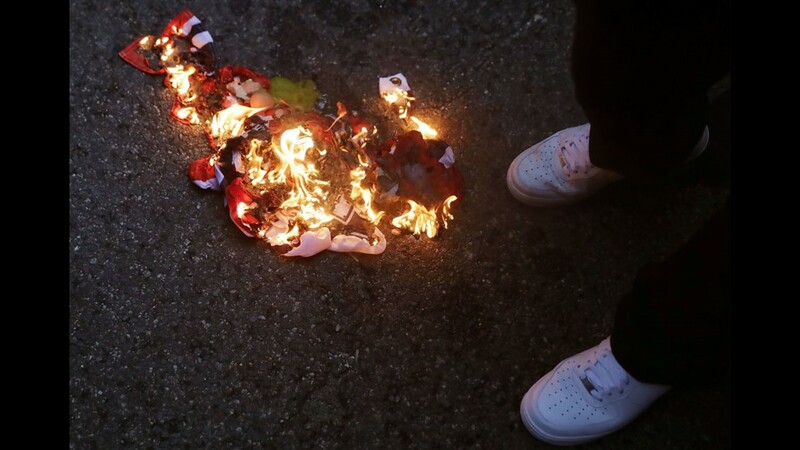 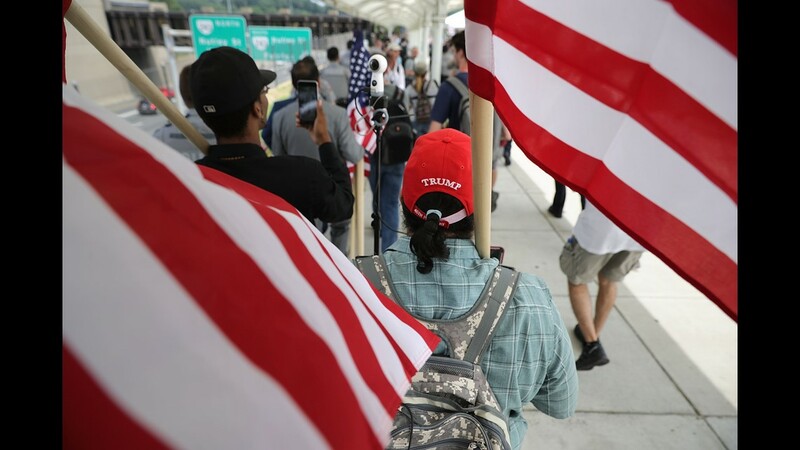 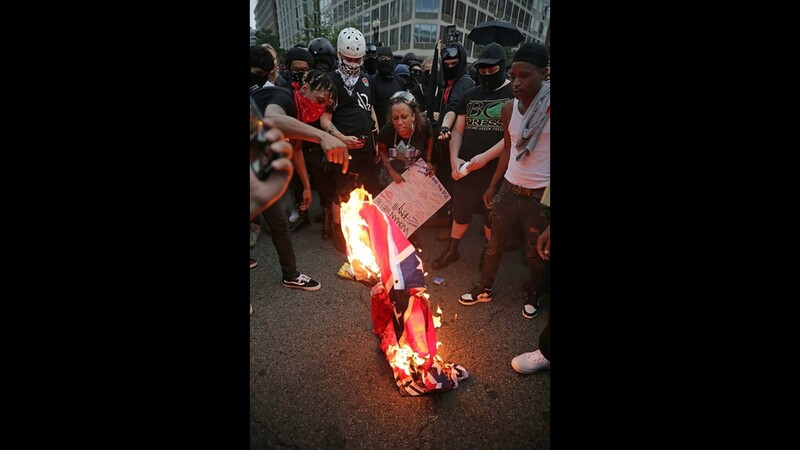 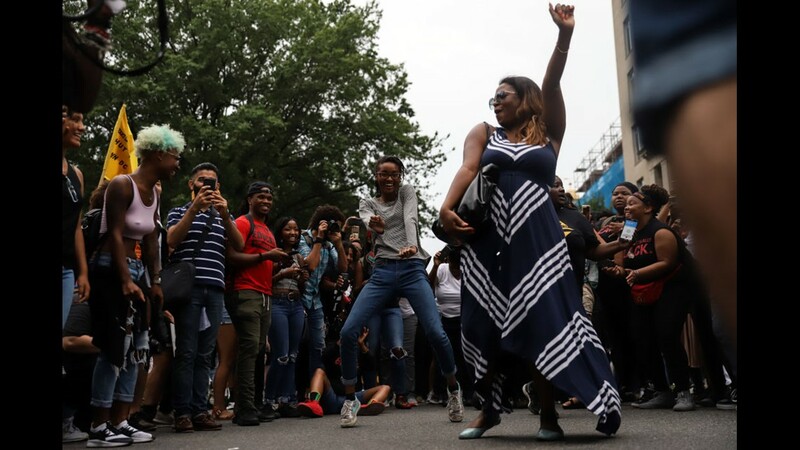 "We think we were largely successful in making sure those First Amendment activities were able to happen and we maintained peace and order in our city," Mayor Bowser said. 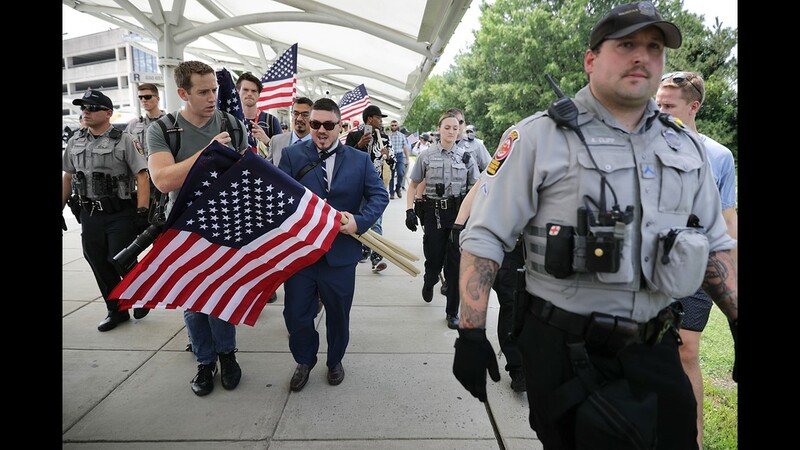 RELATED: Why did Metro shut down Vienna station gate for Unite the Right rally? 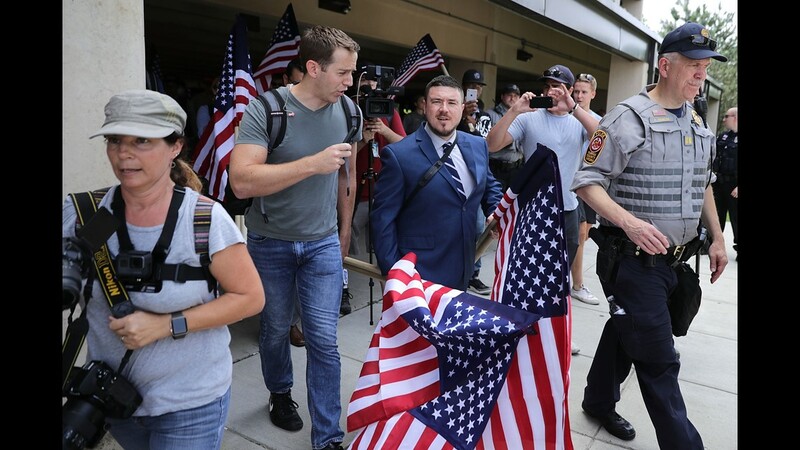 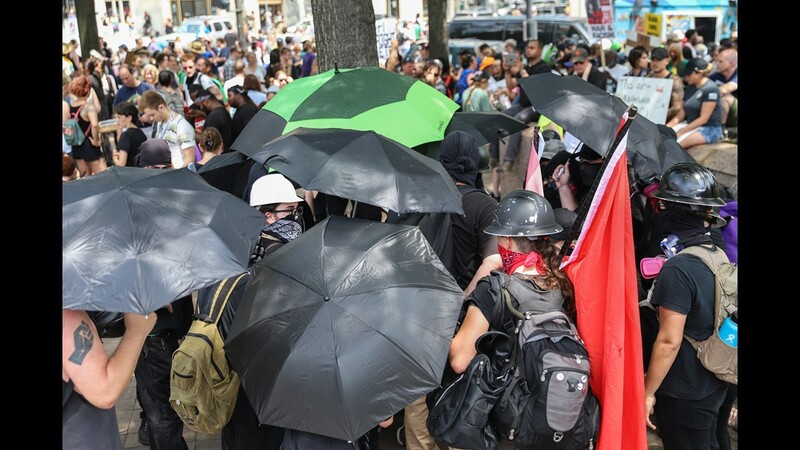 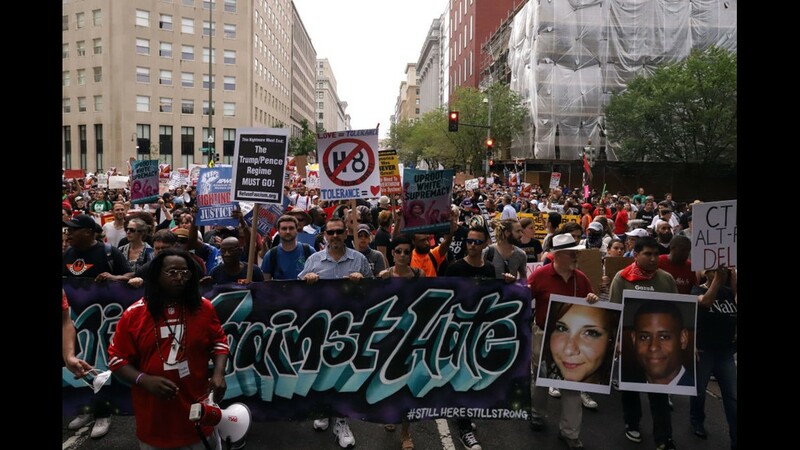 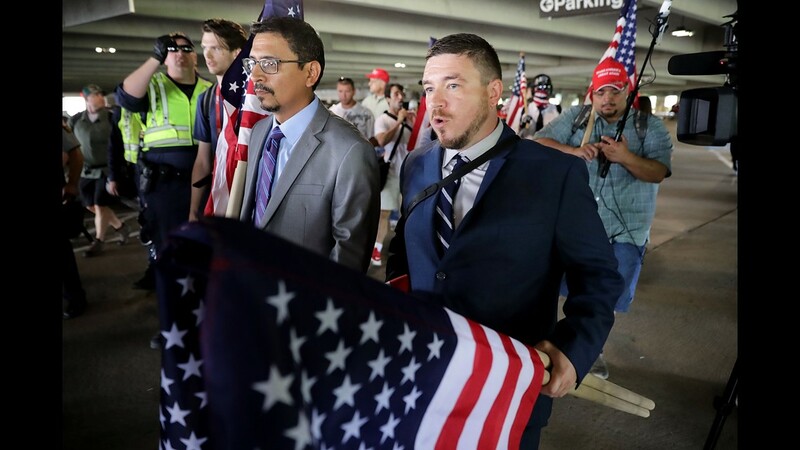 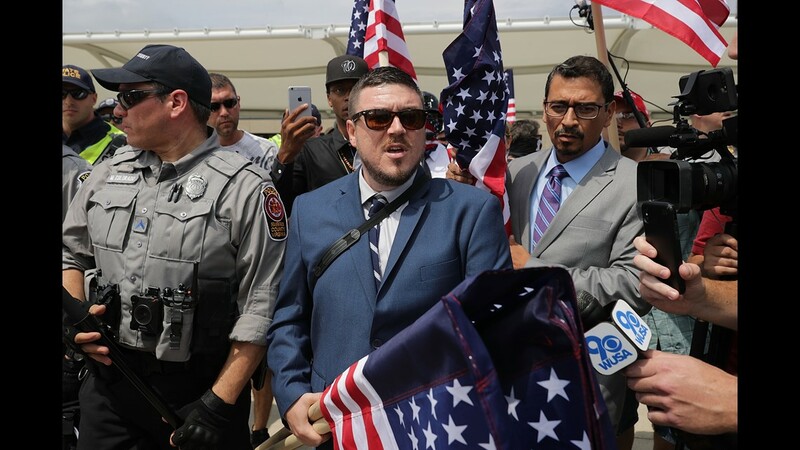 READ MORE | "People were scared" - Counter-protesters vastly outnumber Unite the Right rally participants. 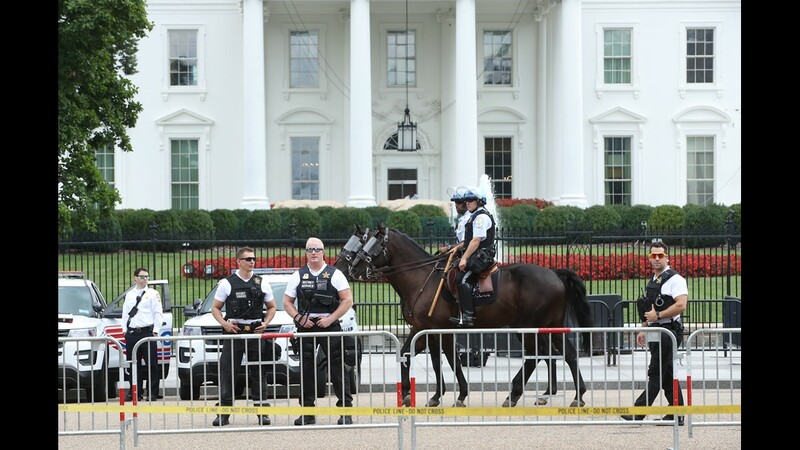 Mounted police stand guard before white supremacists, neo-Nazis, members of the Ku Klux Klan and other hate groups gather for the Unite the Right rally in Lafayette Park across from the White House August 12, 2018 in Washington, DC. 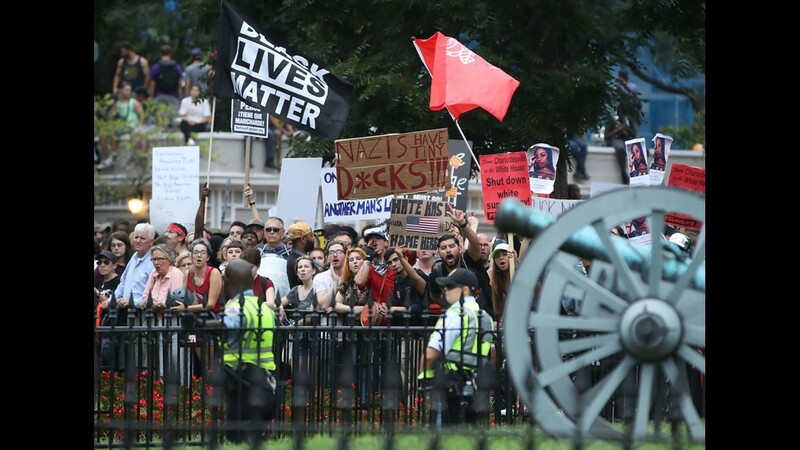 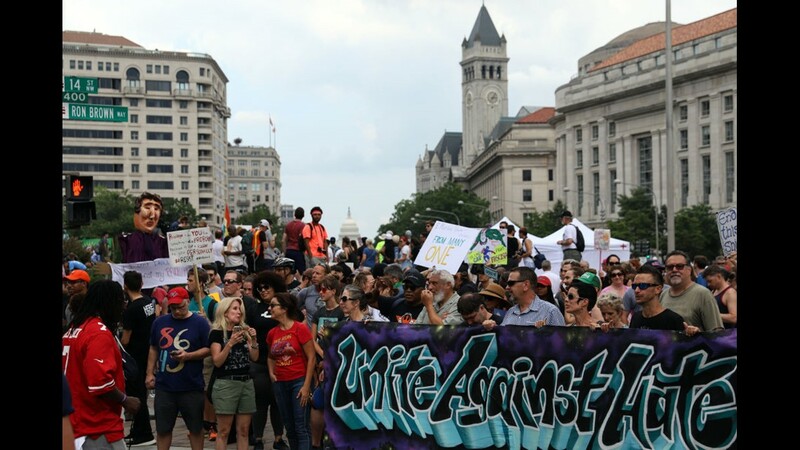 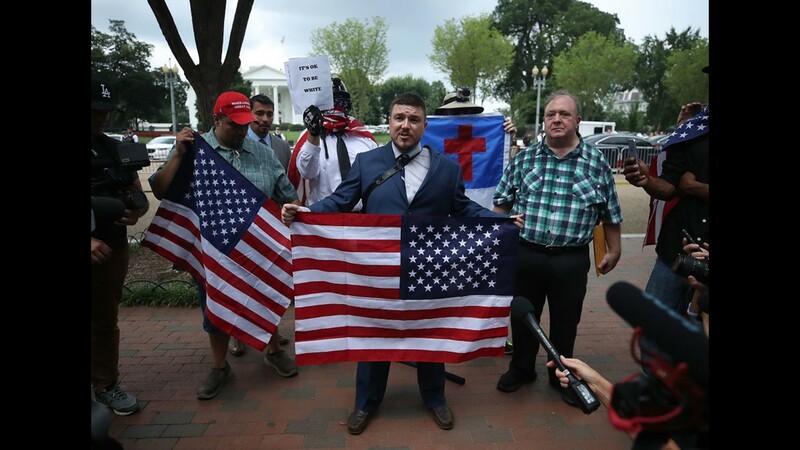 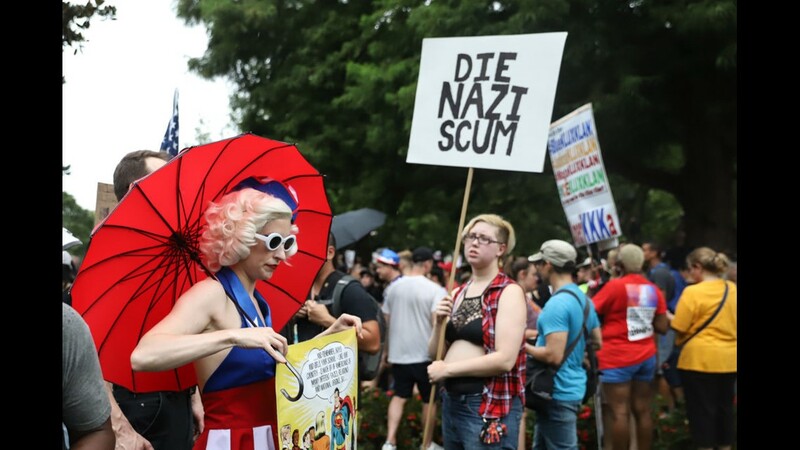 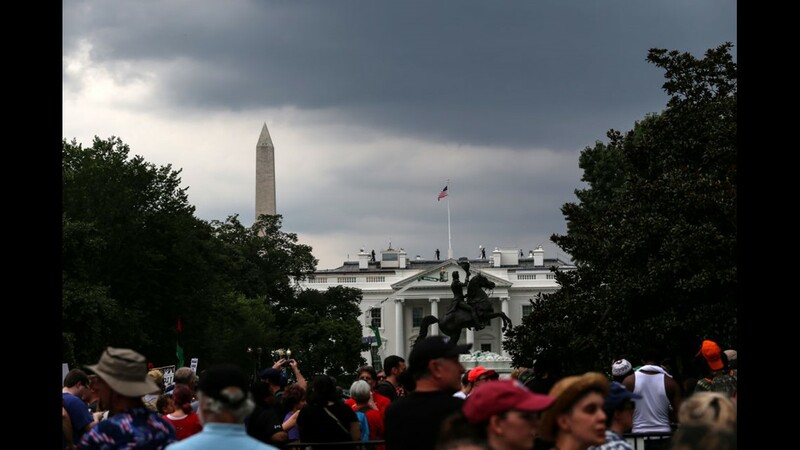 Counter protesters gather at Freedom Plaza before the Unite the Right rally in Lafayette Park on August 12, 2018 in Washington, DC.